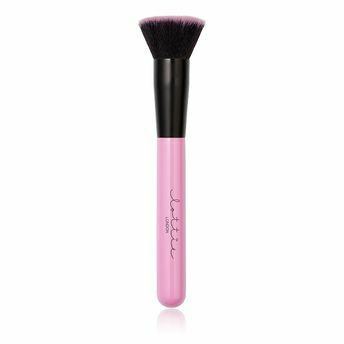 This flat-topped, densely packed brush is perfect for buffing finishing powders to skin, or fixing make-up mishaps in a pinch. Simply apply powder to your face using a buffing motion, evening out any base imperfections or soften any harsh bluish and contour lines. Blend and buff your way to an airbrushed looking skin. Explore other options for a Face Brush here. Explore the entire range of Face Brush available on Nykaa. Shop more Lottie London products here.You can browse through the complete world of Lottie London Face Brush .